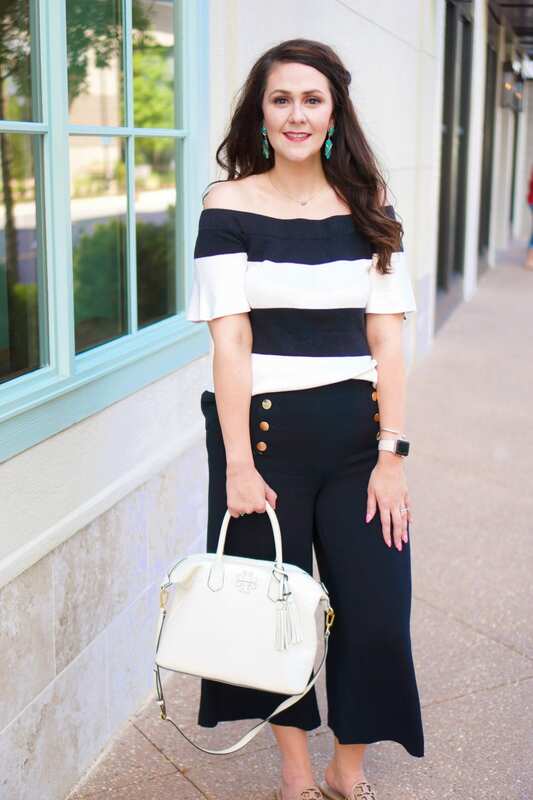 Last month, my friends and I did a 4-day girls’ trip to Orlando, Florida. 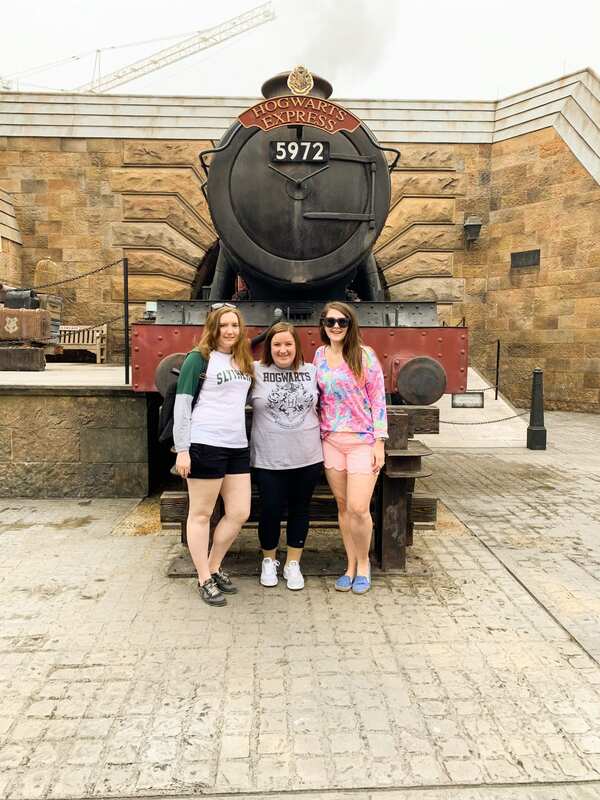 Sheila, Christine, and I only made loose plans about what we were going to do in Orlando, , but we knew we wanted to do one day at Harry Potter World at Universal Studios and Universal Islands of Adventure no matter what. 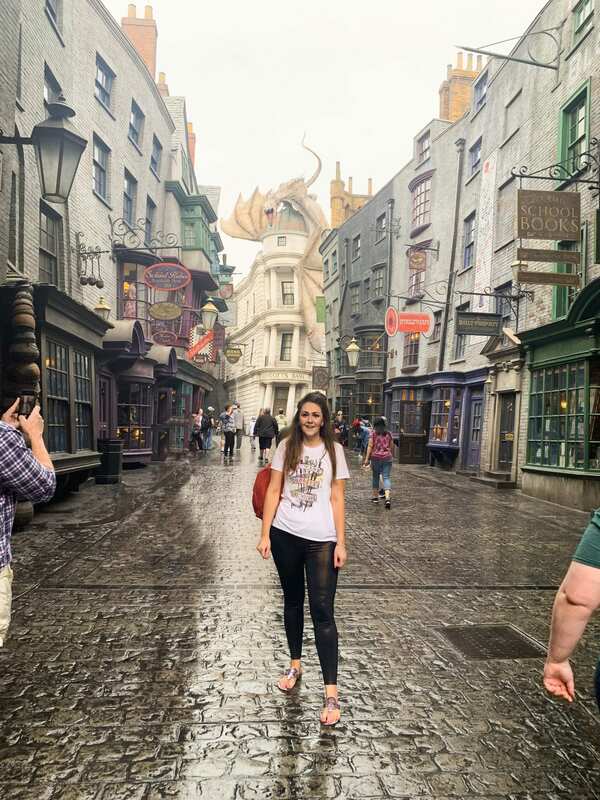 Booking a last-minute day at Universal Studios and Islands of Adventure/Harry Potter World can be intimidating, but just in time for Spring Break trips, I wanted to share tips from my friends and I on how to have a successful one-day trip to Universal Studios and Islands of Adventure/Harry Potter World. 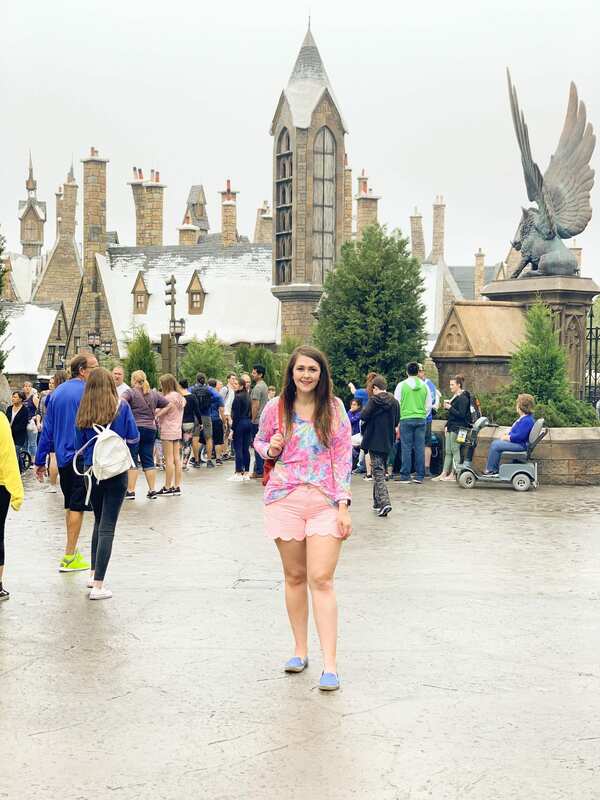 Now, for the purpose of full disclosure, we spent two days at Universal because we lucked into a three day ticket to both parks for the price of one day, but this is how to conquer Universal Studios and Islands of Adventure/Harry Potter World in one day! 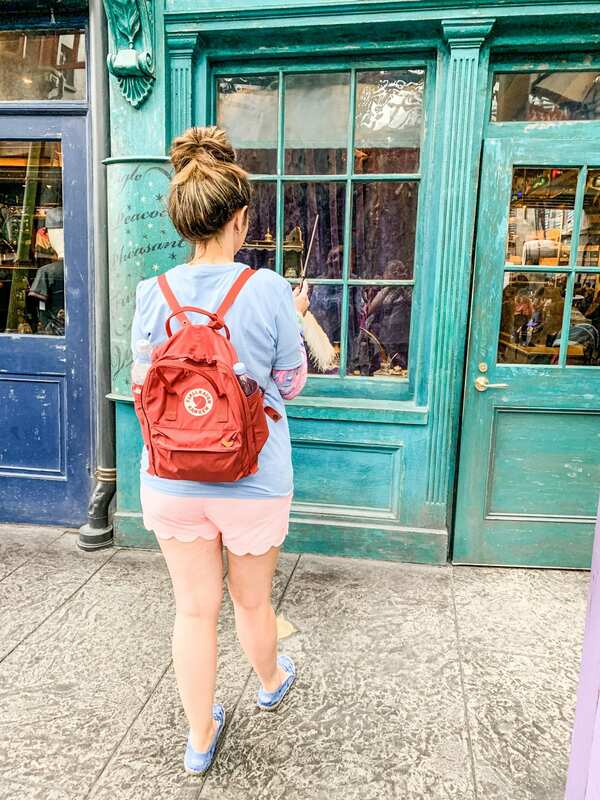 HOW TO DO ONE DAY AT UNIVERSAL HARRY POTTER WORLD: Do I Need Tickets for Both Parks? Personally, I think you need to buy the single day 2-park ticket. If you’re going specifically to Harry Potter World, it spans both parks and you will NOT be able to ride the Hogwarts Express without the 2-park ticket. I can’t emphasize enough how important this is! If you’re only doing one day at the park, you want to maximize time there! One or both parks may be closing early, which could impact what day you decide to go to Universal if you’re in Orlando for multiple days. It may be that just one park is closing early, or that there’s extra hours at one of the parks if you have an event ticket. For example, we happened to be there during Rock the Universe, which is a Christian rock music festival. If we wouldn’t have had the Rock the Universe special ticket, then we would’ve had to leave the Universal Studios park by late afternoon because after that, it was only open to Rock the Universe ticket holders, and it was even open late (we went back into the park after a late dinner at CowFish). This makes it easy to get an EXTRA HOUR at Universal Studios side of the park in the morning! And if you get it, head STRAIGHT to Diagon Alley to the Gringotts ride! You will need to show your room key when entering the park. Additionally, I just want to say that we stayed at the Cabana Bay resort, and I can’t recommend it enough! It was VERY affordably priced, with easy parking. Our room was close to the lobby, which we requested on check-in, which made it close to the shuttle to the parks. The rooms were a good size for the value, AND we were upgraded to a suite for free (don’t bank on this though–we got really lucky throughout our trip). 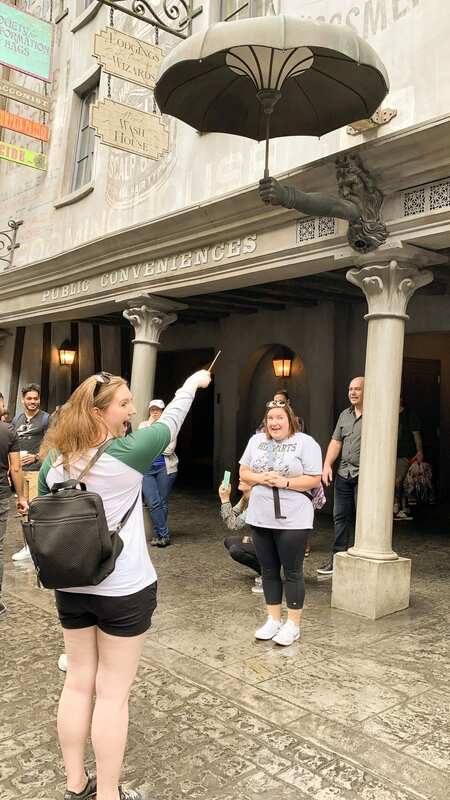 HOW TO DO ONE DAY AT UNIVERSAL HARRY POTTER WORLD: Do you need to pay for the Universal Express Pass? Unlike Disney, Universal actually sells both a Universal Express Pass (let’s you skip the regular line one time per each participating ride) or Universal Express Unlimited Pass (unlimited skips). I have never purchased this, which is an add-on for each additional ticket and really drives your price up. Personally, I recommend consulting the Undercover Tourist crowd calendar to see how busy the park is forecasted to be on the day you visit. The weekend we were there, the crowd forecast was 5/10, so we did not buy the pass. If the crowd forecast is expected to be outrageous, then I would assess the situation once you’re in the park. Double-check, but I believe you can buy the Express Pass once you’re in the park for the same price as if you bought it beforehand (no upcharge). Universal actually has a concept called Single Rider Lines. What this means is that you can skip the line so long as you’re willing to ride the ride by yourself. This means that you fill in empty seats, and often others in your party are on the same ride as you, just not in the same buggy. This is the BIGGEST time saver. Word of caution though–these lines drop you half-way through the entrance to the ride. 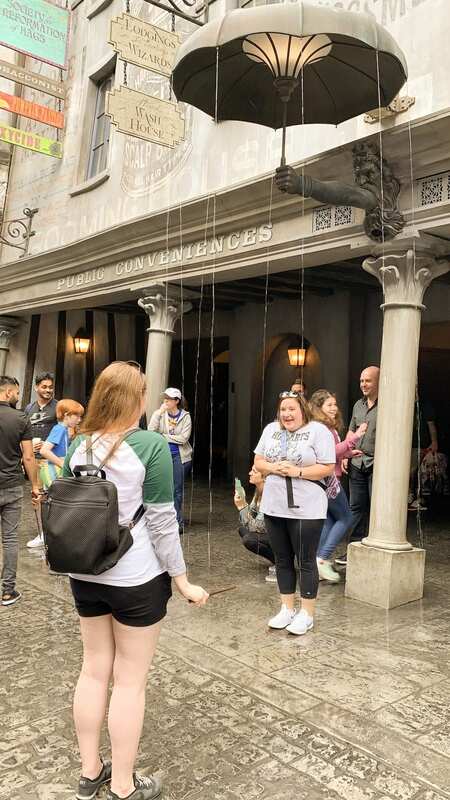 Universal does a great job in that they truly immerse you in the experience, so you’re missing out of some of the experience of the attraction by using Single Rider Lines. For this reason, I recommend riding all Harry Potter rides NORMALLY, going through the regular line, at least once, to get the full experience. After that, use the Single Rider Line to save time so you can ride the rides multiple times if you want (especially since the wait times for those rides can really swell). Now, for the other attractions that have the Single Rider Line, we hit JUST the SRL and didn’t worry about missing out on the experience. Universal has a newer concept similar to Disney’s Fast Pass called Virtual Lines. Using the app, you can select a window in which to ride certain attractions. This is VERY limited though! Ok, for us, we prioritized Harry Potter World. We made use of early park admission by staying on the property, and went straight to Diagon Alley. Our first ride was Gringotts, and then we hopped the Hogwarts Express ride to head over to Islands of Adventure where Hogsmeade and Hogwarts is at. BE SURE TO RIDE THE HOGWARTS EXPRESS BOTH WAYS, as it’s a different experience each direction. We made it over to the other side just as that park was opening up for the day, and went straight to the Hogwarts ride. These are the two biggest Harry Potter attractions at the park that you don’t want to miss out on! By knocking these rides out first, you will lessen your wait times and really have more time to enjoy the park. After that, use the app to gauge where you should go next! IF YOU DO NOT STAY AT A UNIVERSAL RESORT, then as soon as the park opens, you may want to head to Hogsmeade/Hogwarts on the Islands of Adventure side first, as the other side of the park will already have a wait time–> check the app (see below) to double check this as you approach the park. Like Disney, Universal has an app that shows you the wait times for all of their attractions. This is the single most-helpful tool in maximizing your day at Universal! You can even set alerts for when the wait time on a particular ride drops to say 15 minutes. We avoided waiting for any rides that were over a 25 minute wait. If you’re only at Universal for one day, I recommend eating in the parks. Yes, there’s a ton of food at Universal City Walk, but you’ll waist time make the trip out of and back into the park. I recommend The Three Broomsticks for Breakfast (order the kids size to save money–and you can get pumpkin juice for no additional cost!) and the Leaky Cauldron for lunch (also opted for the kids meal here). And grab yourself one or two Butterbeers–I prefer the frozen–for a cool midday snack. If you’re just going to Universal because you’re a Gryffindor, Hufflepuff, Slytherin, or Ravenclaw, do NOT skip buying an interactive wand! Yes, they’re pricey, but it’s so much fun! There are places around Harry Potter World, denoted by a metal emblem on the ground, that you can use the interactive wands to cast spells! The emblem shows you what wand movement you need to do to cast each spell.